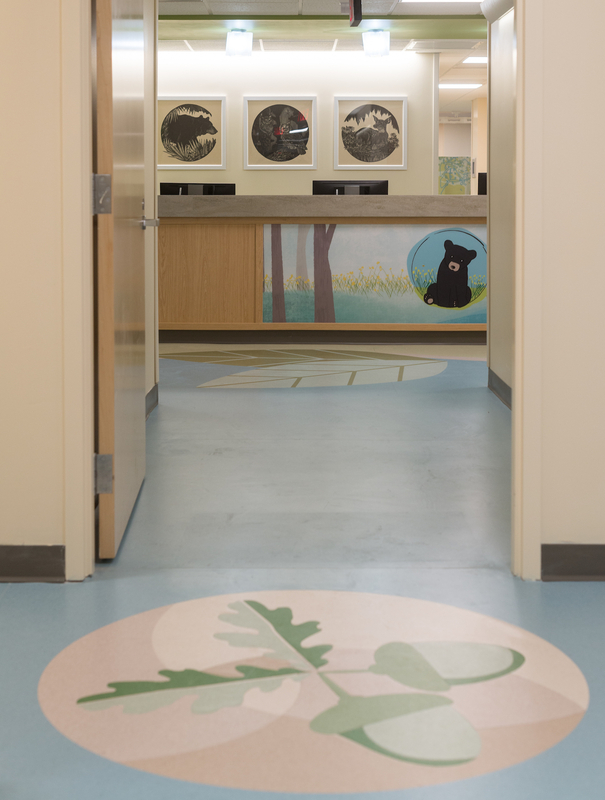 Upon entering the newly renovated Pediatric Infusion Center and Specialties Clinic suite in UF Health Shands’ Children’s Hospital, one is greeted by four furry/feathered faces. 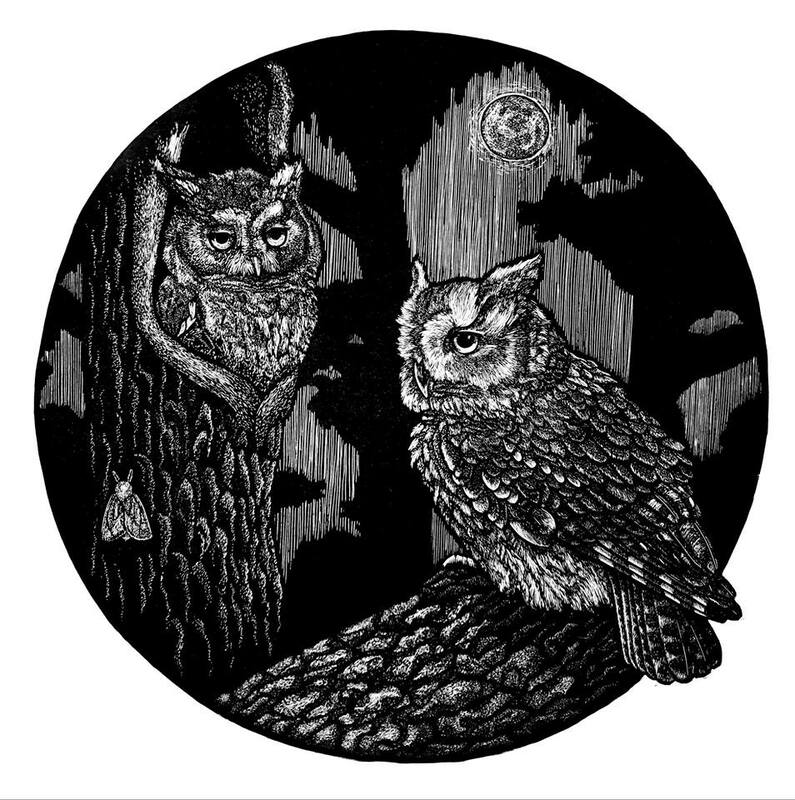 These are the faces of the three commissioned prints by AIM Artist in Residence and printmaker Molly Kempson. 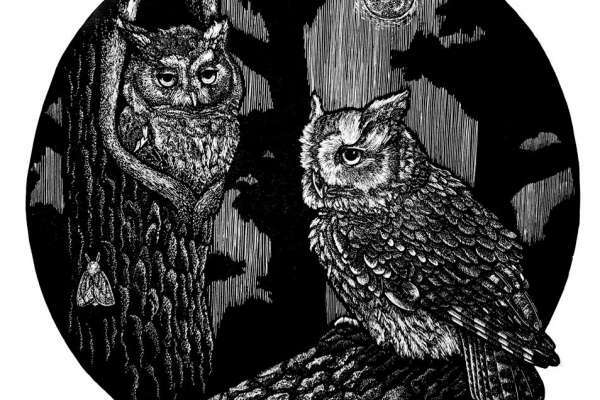 The displayed works feature a black bear, whitetail fawn, and a pair of eastern screech owls. 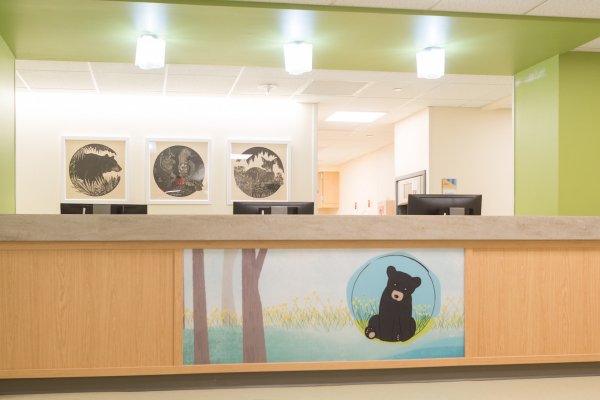 The renovation, completed in late December of 2018, came in response to a need for physical space for waiting areas and patient rooms, and a unification of the infusion and specialty patient populations in a single location. 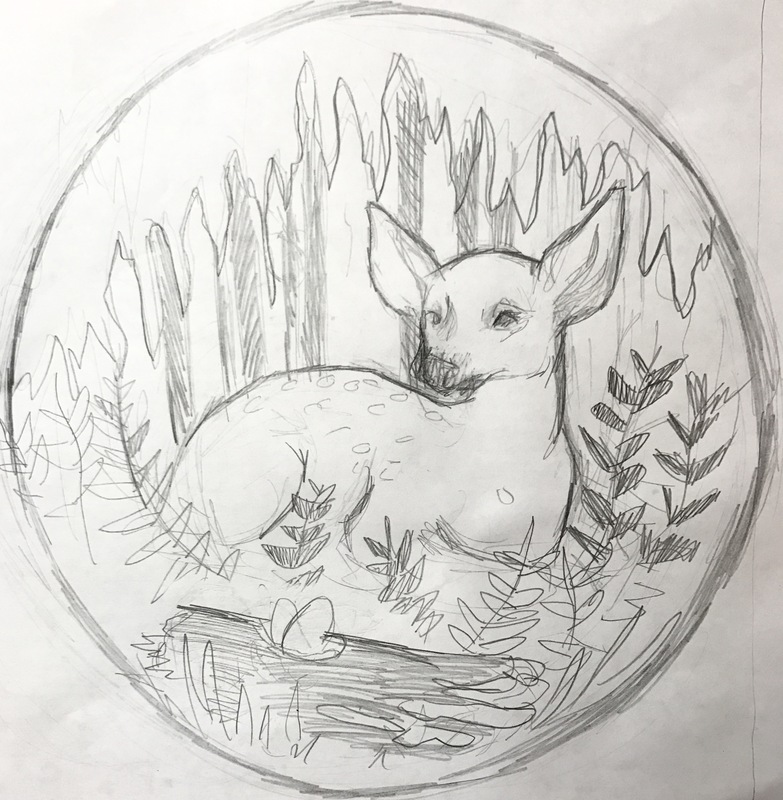 Molly’s pieces contribute to the woodland flora and fauna design theme of the Infusion Center and Clinic. 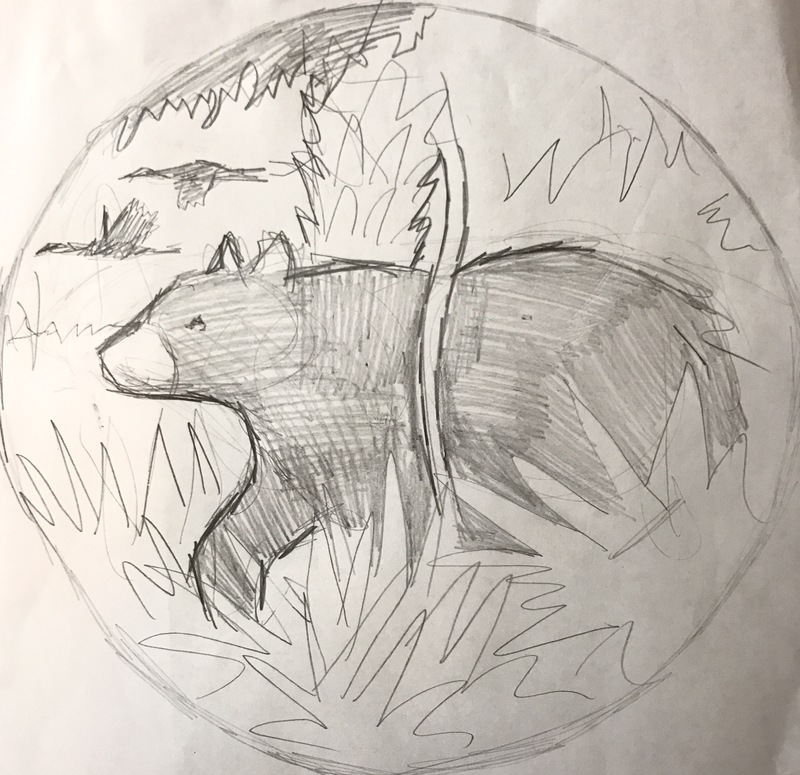 “Research shows nature themes in healthcare environments can provide a positive distraction for patients and their families,” Robyn May, of UF Health Shands’ Interior Design team, said on the decision to use Florida wildlife as the theme for the suite, effectively bring the outdoors inside. 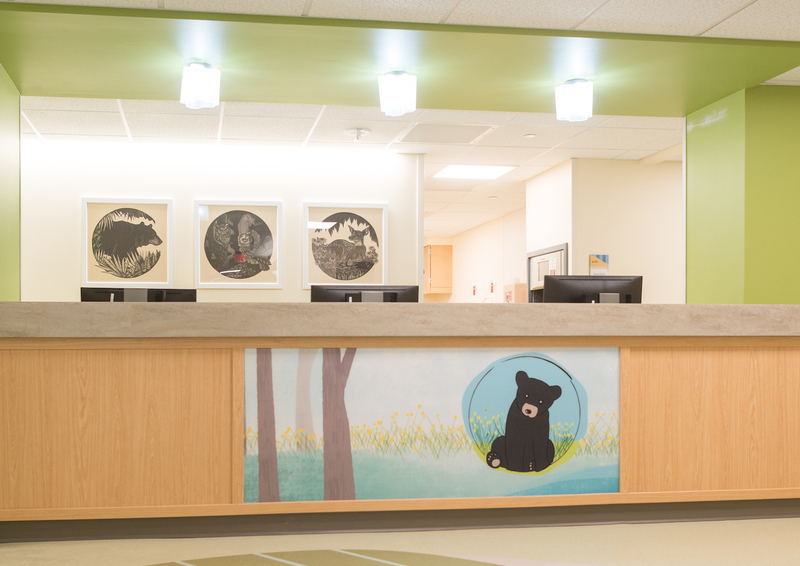 “The UF Health Children’s Hospital’s overall design theme centers on Florida’s wide array of ecosystems and is introduced at the first floor lobby. 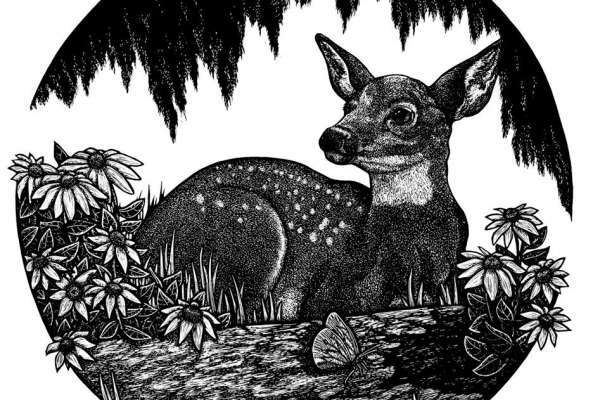 The fourth floor’s design focus is Florida forests and the way-finding floor icon is the deer. 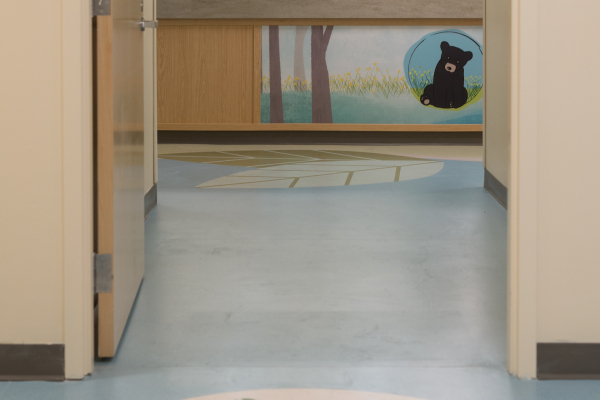 The Pediatric Infusion Center was the first opportunity for the design team to utilize this concept. 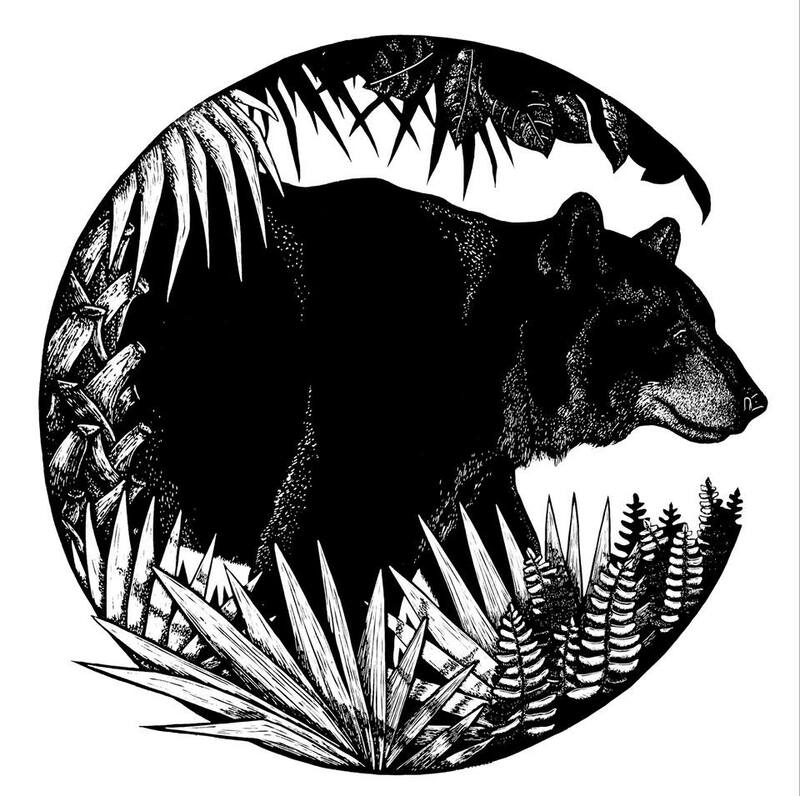 Digital scan of the black bear finished print. 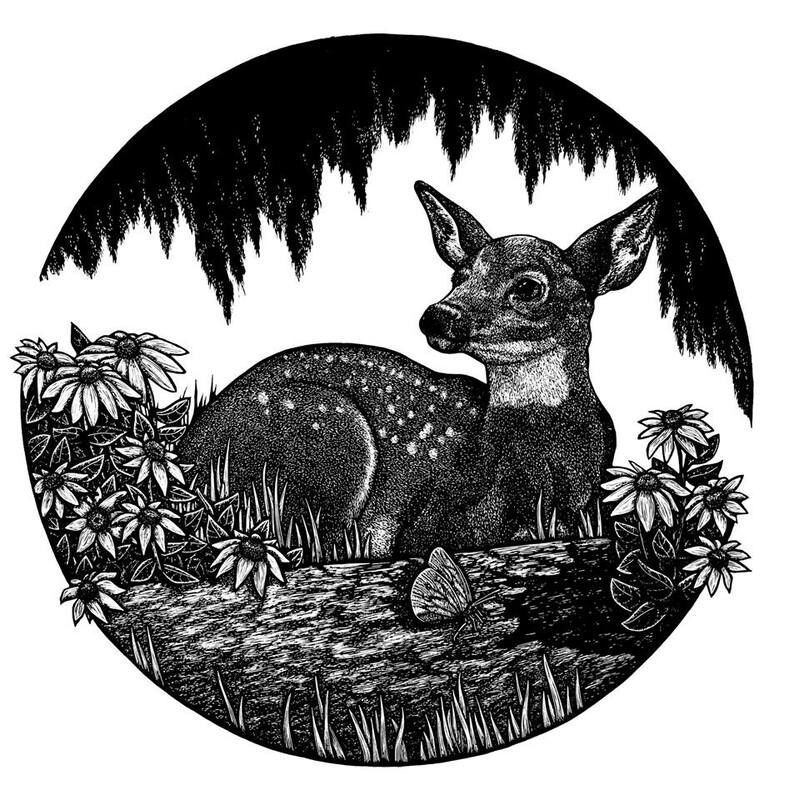 The finished print as a digital scan of the whitetail deer. 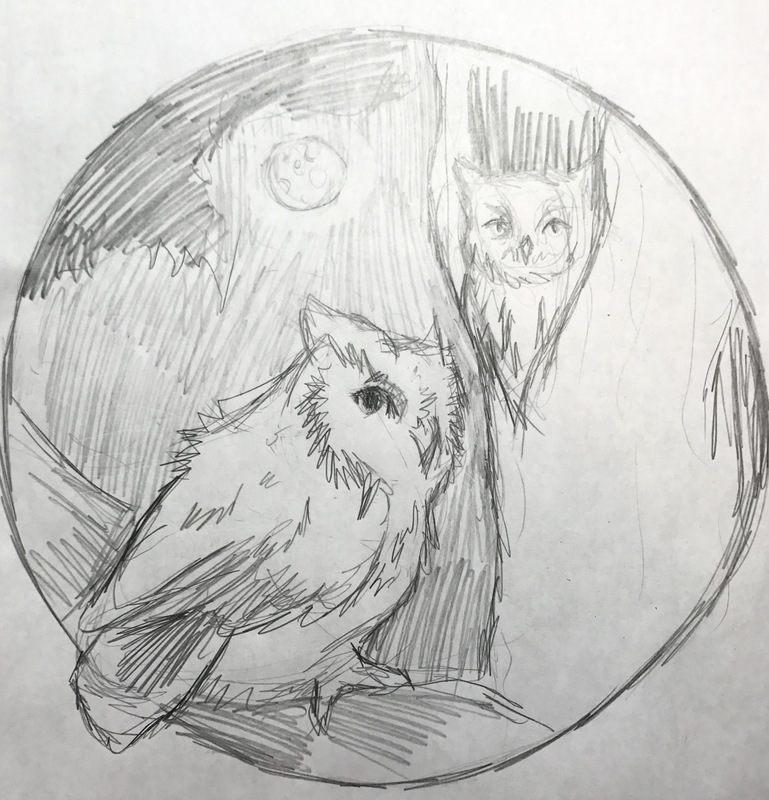 Digital scan of the eastern screech owl finished print. 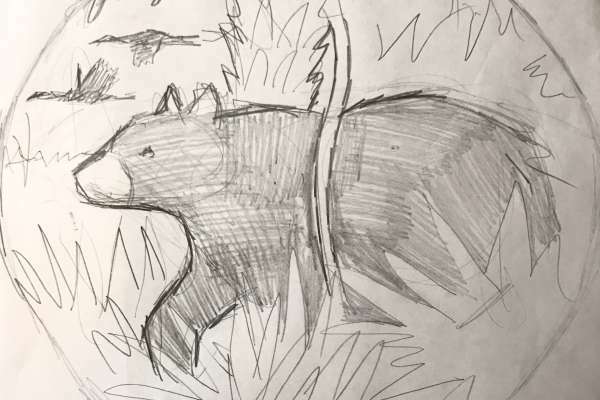 Black bear sketch, by Molly Kempson. 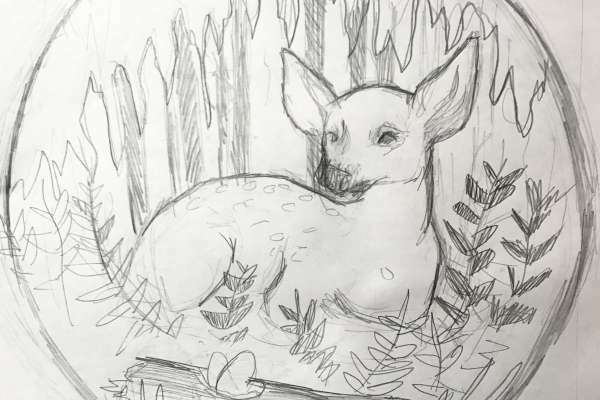 An initial sketch of the whitetail deer print, courtesy of Molly Kempson. 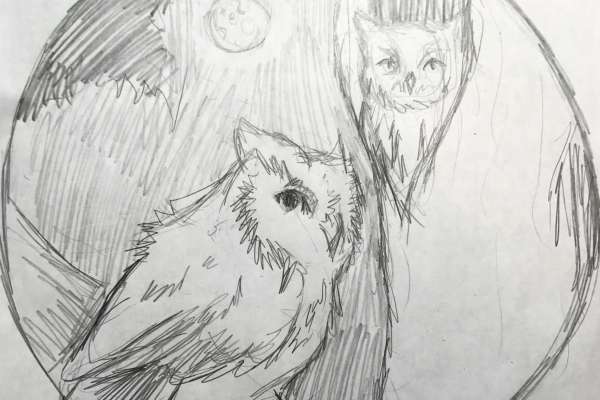 Sketch of eastern screech owls, by Molly Kempson. Nursing station desk with Molly’s prints displayed in the background. 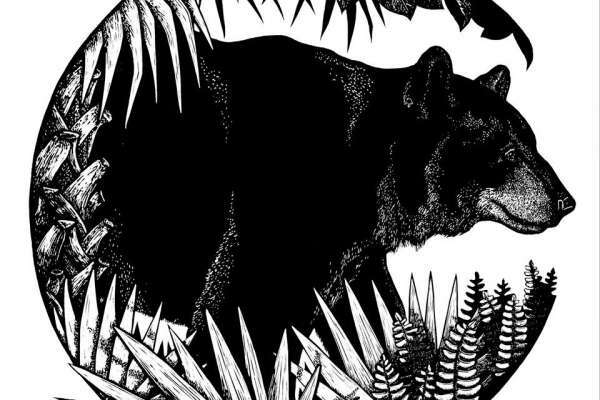 Click here to read more about the unit’s renovation.